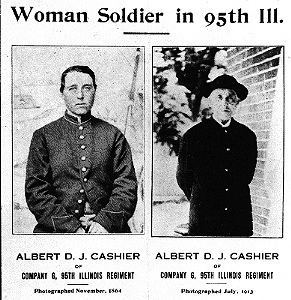 via Women of the American Civil War Soldiers and Nurses. My first thought was, he’d better hope that dueling pistol aint loaded. My second was, they should fire their costume and prop guy. I’ve been on a movie set before as I was a german reenactor for the Malmedy Massacre scenes in the Indie film Saints and Soldiers, but they had their act together authenticity wise, so I can imagine the reenactors here having a grumble about how these two look.